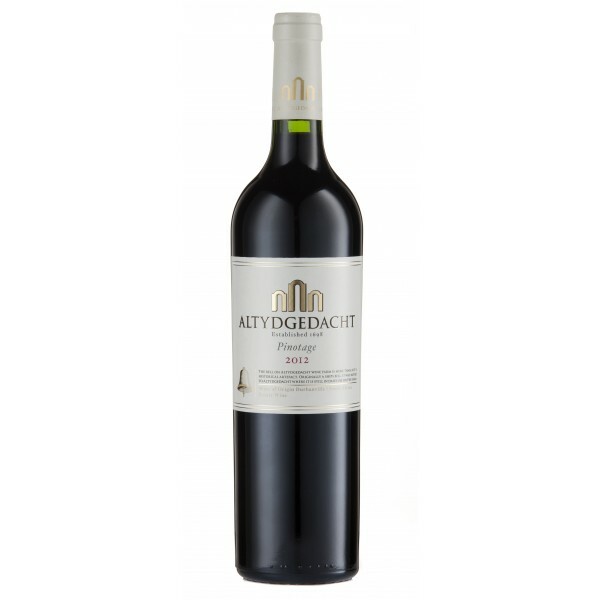 Established in 1698, Altydgedacht Estate is a family farm where long standing traditions and modern methods blend to create wines of quality and character. Altydgedacht is one of the historic farms established on the fertile slopes of the Tygerberg and has been in the Parker family since 1852. Brothers John and Oliver use the varied soils, slopes and microclimates to grow high quality grapes from suitable noble varieties. Winemaker Oliver produces wines of distinctive character and strong varietal flavour, typical of the renowned Durbanville area. 80% French and 20% American oak was used, comprising 30% new wood ( ¾ Vicard French, ¼ Nadalie American ) with the balance made up of 2nd and 3rd fill barrels with inserts. The wine was matured for 12 months. Good expression of cool-area Pinotage. Red fruits and a touch of black cherry,combined with hints of toasty oak, dominate on the nose. 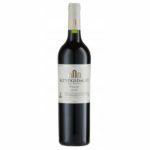 The entry on the palate is silky, with elegantly soft tannins ( typical of Durbanville terroir ) and a big, juicy mouthfeel rounding off the wine.